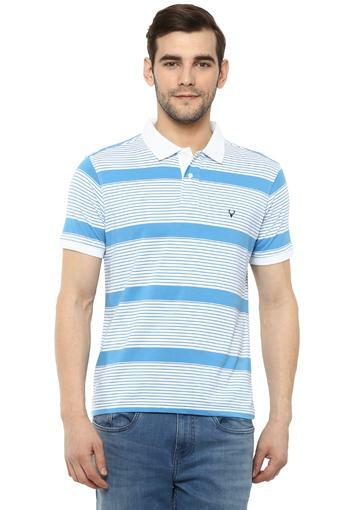 Make a smart addition to your wardrobe collection with this polo T-Shirt from the house of Allen Solly. 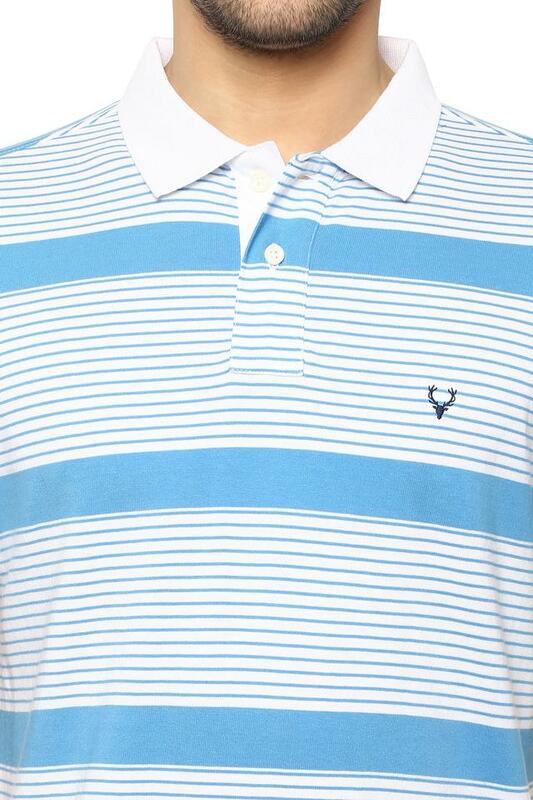 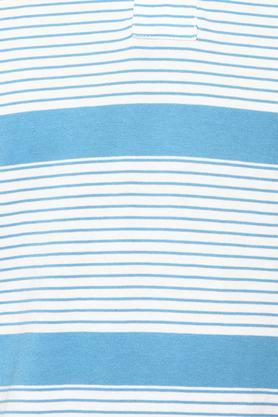 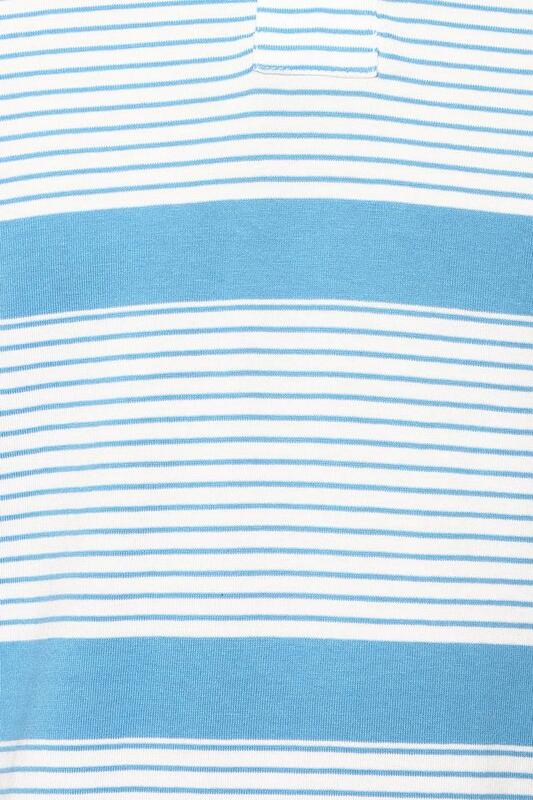 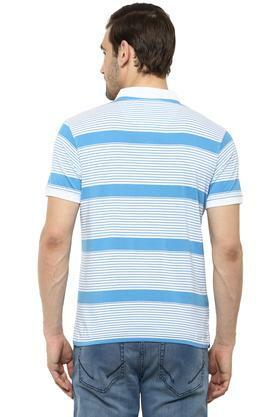 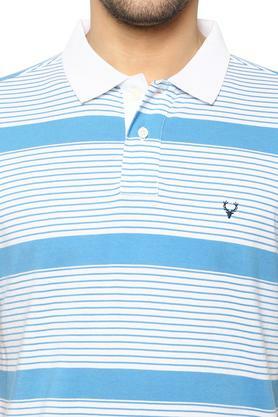 It comes with a stripe pattern, which renders it trendy, while the short sleeves further give it a classy appeal. Crafted from fine quality fabric, it offers you optimum comfort for long hours. 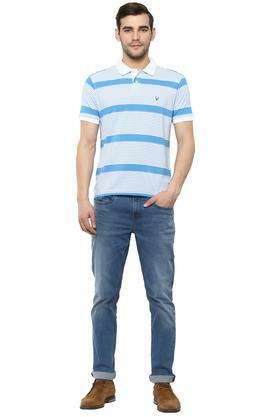 When paired with jeans and sneakers, this polo T-Shirt will make you appear smart and handsome for any casual occasion. 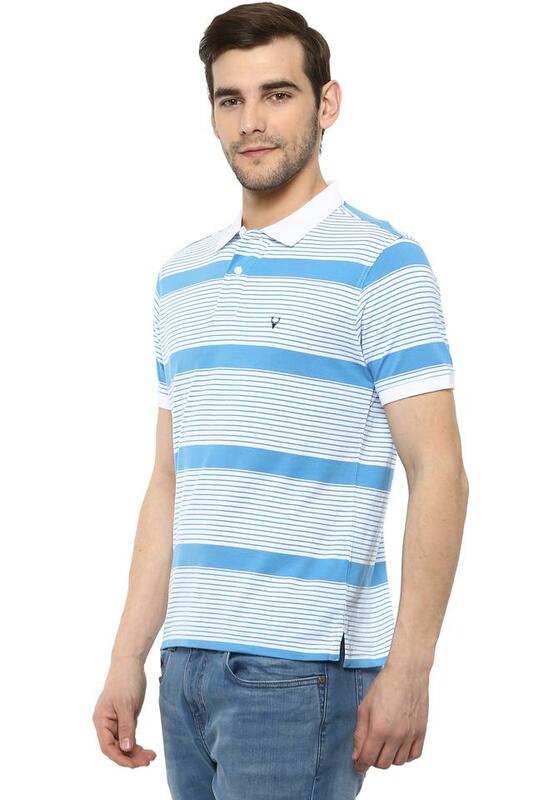 The stripe pattern that it features, highlights its overall appeal all the more.